The Atacama Desert is one of Latin America’s most awe-inspiring attractions. Renowned as the world’s driest place outside of the Polar Regions, it is a destination of immense beauty. Adventurous travellers head here in droves every year, looking for that once-a-decade snowfall, rare flower blooming, and to hike over its mesmerizing lunar-like landscapes. Yet of all the incredible experiences you can indulge in the Atacama, none compare with the remarkable spectacle that will greet you every day, after dark. Beautiful as she may be during the day, the Atacama is simply magical at night. 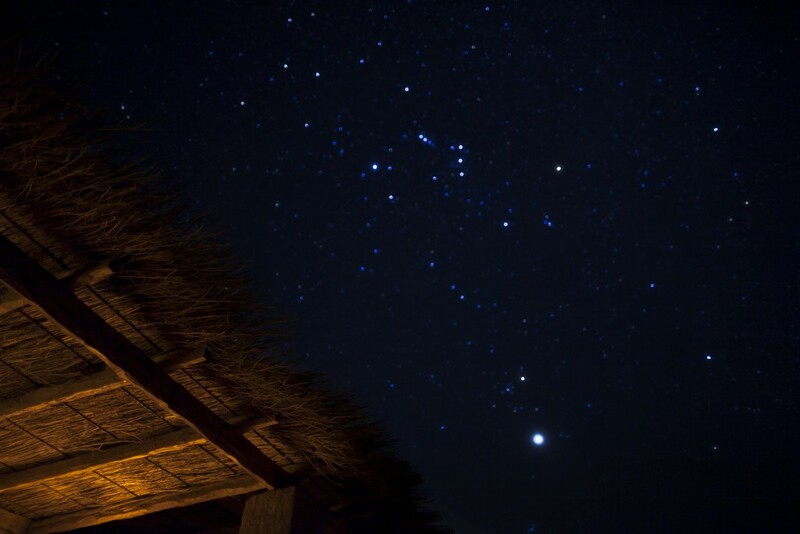 Stargazing in Chile’s Atacama Desert is one of the most unforgettable experiences you could ever dream of having. But trust us that once you’re here, taking in the incredible spectacle, sleeping and dreaming will be the very last things you’ll want to do. 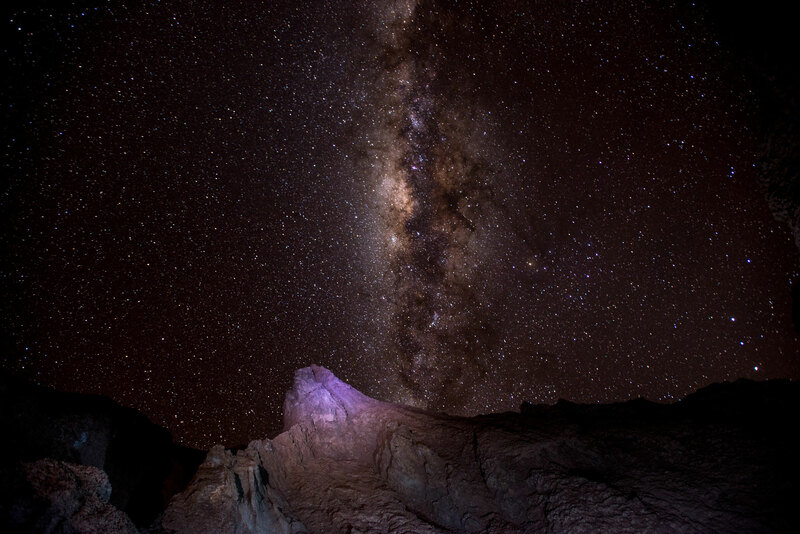 What makes the Atacama such a special stargazing destination? All deserts are renowned for gifting incredible stargazing experiences, yet the Atacama boasts a few extra aces up its sleeve. Aside the fact that it’s drier than all other deserts, and enjoys incredible lack of light pollution, it also boasts much higher altitude nooks than most other deserts, making the air cleaner and crisper than anywhere else. If all this isn’t enough, its geographical location is the absolute cherry on the stargazing cake. Chile is a long and very narrow country, framed by the high Andes on the east and the frigid Pacific Ocean on the west. It’s the latter’s cold Humboldt Currents which prevent rain clouds from forming over Chile’s coast, and the protective Andes, with their vertiginous heights yet warm winds, combine to form a phenomenon which is annoying if you’re coming here to sunbathe, but simply idyllic if you want to see a perfectly starry sky. Garua is the name of an incredibly unique fog which settles along most of Chile for about 6 months of the year. It’s arguably one of the strangest climate occurrences we’ve ever had the pleasure of experiencing. It’s not a thick fog as such, but it covers the skies completely and you can literally drive along the coastal road for days on end without spotting any blue skies. For astro-tourism (yes, that’s totally a thing nowadays!) this is incredibly convenient. 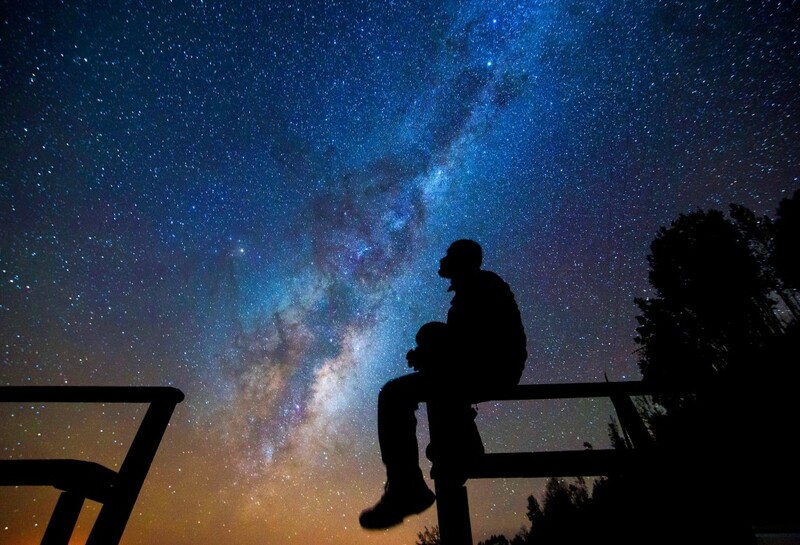 Head up above the cloud cover, and you get to admire the phenomenal starry skies of Chile, even close to major towns. There’s simply no light pollution which can penetrate the garua. And that spells utter splendour. Stars, nebulas, a sparkling Milky Way, and even entire galaxies are visible to the naked eye. There’s just no place on earth where one can feel as one with our universe, as in the Atacama Desert. A decade ago, there were groups of independent starry-eyed travellers who’d pack sleeping bags in rental cars and head up to the heart of the Atacama for the simple yet unforgettable pleasure of stargazing for a few nights. Nowadays, they’re called astro-tourists, and they head to some of the world’s best-renowned observatories, which organize amazing stargazing evenings. San Pedro de Atacama, an impossibly charming desert town which lies at an altitude of 2,400m. Only a few kilometres out of this dusty yet bustling hub, lies the Atacama Salt Flat, the largest in Chile. Among abandoned colonial-era churches, steaming geysers, terracotta-coloured rugged peaks and wind-sculpted rock-formations, you’ll find a landscape so out of this world, it is routinely used by NASA to test their Mars rovers. Out of this world, out here, is taken literally. As the ground cracks and crunches under your feet; as you cast your eye on an infinite horizon of desolate, harsh yet spell-binding scenery, you’d be forgiven for thinking you’ve just landed on another planet. Then there are the night skies. It’s really no wonder that world-class observatories have been built in the Atacama Desert, and it’s right here that astro-tourists flock. The ALMA Observatory (an acronym for Atacama Large Millimetre Array) is a newcomer to the Atacama-astro scene. Its main aim, aside taking awe-inspiring images which are said to be 10 times more detailed than those taken by the Hubble Space Telescope, is to try to detect radio signals among clouds of gas. It is the world’s most expensive astronomical project and is a collection of more than 60 radio-antennas which can be moved within a radius of about 16km. ALMA headquarters are only 50km out of San Pedro de Atacama and incredibly interesting public tours are given on weekends. The Paranal Observatory, perhaps the most famous of all, lies about 120km south of the city of Antofagasta. Atop Mount Paranal, at an altitude of 2,600m, this observatory boasts the strongest telescopes ever built, able to “clearly detect a car’s headlights…if it were driving on the Moon.” For years, this mother-of-all observatories was off-limits to the public, but nowadays tours are given in Saturday, free of charge but with prior registration. 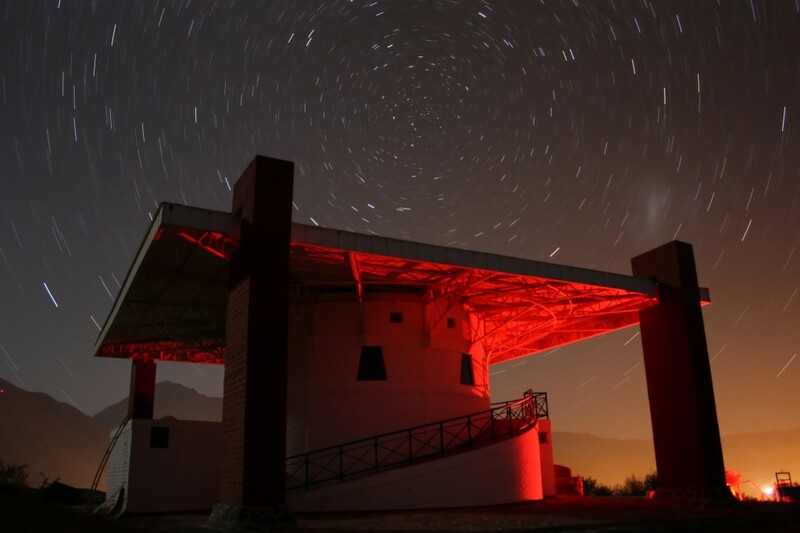 Just out of the sleepy coastal town of La Serena, about 470km north of the Chilean capital, Santiago, is where you’ll also find a cluster of great observatories, which are particularly convenient to visit if you’re short on time and simply can’t make it to relatively remote San Pedro. Although you really should try, as this area, along neighbouring Salt Flats of Uyuni (in Bolivia) rate as two of South America’s very best highlights! But back to La Serena. What makes this area so ideal, and the reason why so many international space agencies have set up shop here, is that it’s a convenient place to reach (for logistical transport issues) and, within proximity, are high-altitude plateaus. Among the most popular observatories to visit here are La Silla (with her 14 telescopes), Cerro Totolo (which had the strongest telescope before Paranal’s was built) Mammalluca (include it on an incredible 4-day Elqui Valley astro-tour) and Las Campanas. 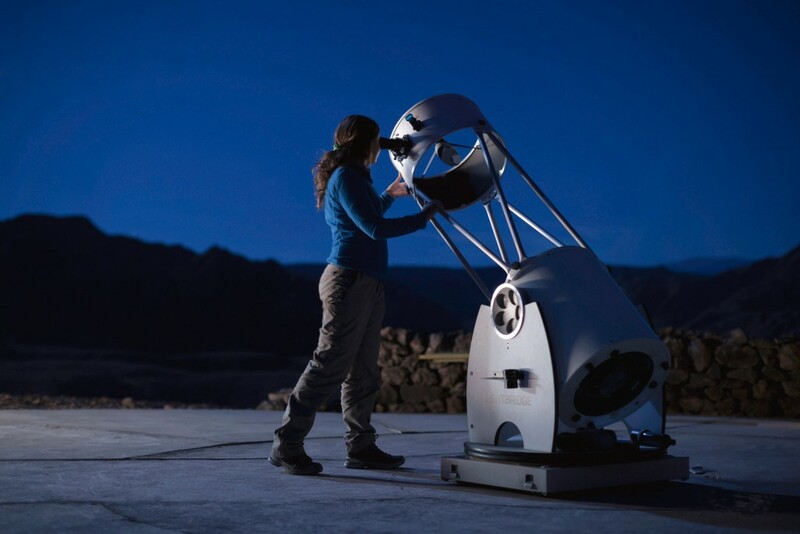 Although all the observatories offer day-time tours which are very enticing, nothing beats the evening stargazing lectures and tours, which are more hands-on and utterly enthralling. Chile may rate as South America’s 7th smallest country but boy does she pack an almighty punch. Want to be totally blown away by one of the most incredible sights on the planet? Then include a few day’s explorations of the stellar Atacama Desert to your itinerary and ask us how to include a visit (or several) to some of the most spectacular observatories in the world. Add star gazing in Chile’s Atacama Desert to your bucket list and make your South America adventure a once-in-a-lifetime experience. Pingback: What is Pisco? All about the national drink of Peru and Chile. Join us on this 4-day experience on one of the driest places on earth, the Atacama Desert; the best place to see the stars.